There are dozens of volunteers that ‘toil in the soil’, to make Parkview Neighbourhood Garden the success that it has become in its 5 growing seasons. Gardener Parkview interviewed Alex Kofman, as part of a series called Spotlight on Volunteers. This is Alex’s first season as a Parkview Neighbourhood Garden volunteer. GP: What do you do at the Parkview Neighbourhood Garden? Alex: I turn the compost, pull out weeds, help with setup and move heavier items that other volunteers can’t do. GP: What is your gardening background? Alex: Before I started here, I had next to no knowledge of gardening. My grandparents had a farm in Moldova in eastern Europe. Their crops were an important food source to help their family sustain themselves when it was part of the Soviet Union. They took me to visit, but I was too young to remember. Earlier this year, one day I was walking by the garden with a friend, and one of the volunteers started talking to us and explaining about the garden. She recruited me as a volunteer into the garden. GP: What have you learned working at Parkview Neighbourhood Garden? 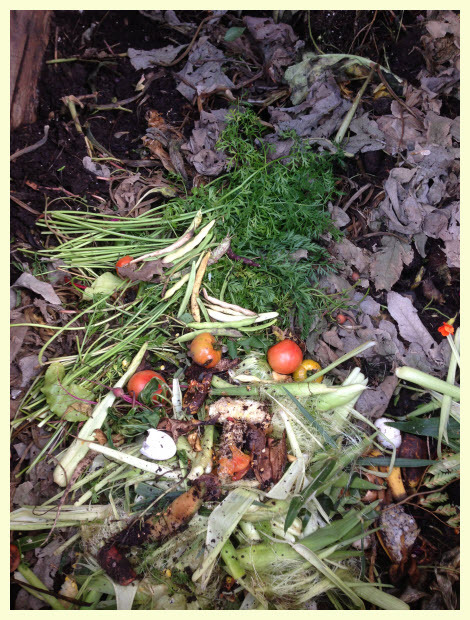 Alex: I have learned that compost needs to be turned — a lot, in order to decompose faster. I have learned to identify some plants and what kind food they produce. I have picked up a lot of tips from some of the other volunteers. I’m looking forward to next year’s planting season and learning to plant. GP: What do you like best about Parkview Neighbourhood Garden? Alex: I like learning about gardening and I’ve met a lot of new people. Gardening is a great form of exercise, without feeling like it’s exercise. It takes the chore aspect out of exercising and makes it fun. Also, it’s a great way to escape the hustle and bustle of the big city. It can be kind of like meditating for me, in a way. GP: What would you change about Parkview Neighbourhood Garden, if you could?? Alex: Some of the plants, I still don’t know what they are. I would love to see better signage identifying which plants are which and maybe pictures of the crops they produce. GP: What is your favourite crop in Parkview Neighbourhood Garden? Alex: (Laughing) It’s not really a crop, but my favourite part of the garden is the compost. I was able to harvest part of the compost that I have been turning, and the soil was really rich. I’m looking forward to seeing the effort pay off with next years growing season. I also like strawberries and the little cherry tomato that we grow and sell. 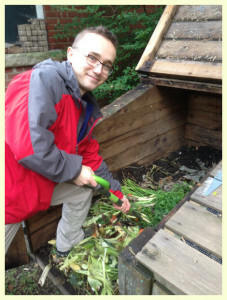 Thank you, Alex, for your enthusiastic hard work in Parkview Neighbourhood Garden.